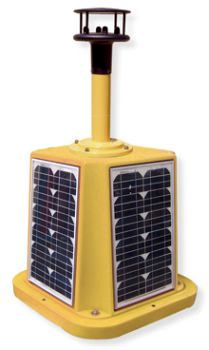 GSM Solar-Powered Data Acquisition reports via SMS text message from anywhere in the world. Solar-powered remote Data Acquisition reports, enabling users to remotely monitor via SMS text message or PC, any time, any where. The four multicrystalline solar modules recharge the internal battery to power the ultrasonic anemometer - allowing the unit to be completely self-contained and operate independent from other power sources. Designated users simply send an SMS text message to the wind monitor, and receive an automatic reply from the unit indicating accurate for example wind speed and direction. Installations may also be polled for status by way of a PC. The system can be automated to simultaneously send status requests to multiple with reports generated and then compiled in Microsoft Outlook and viewed as emails. Readings can then be ported to Excel spreadsheets to create reports, statistical data and graphs for operational purposes. Receive real-time Data Acquisition reports via SMS text message from anywhere in the world Self Contained Solar Powered units!